In the previous episode of Netflix’s Russian Doll, Alan and Nadia desperately tried to make things right in their loops before everyone disappeared. 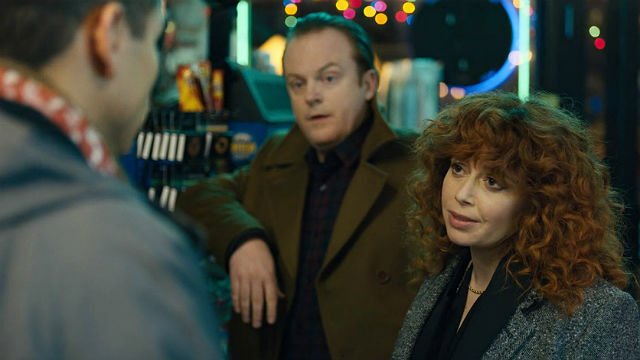 In the season finale of Russian Doll, Nadia and Alan awake at the beginning of their loops, and everything appears back to normal. When Nadia came to in Max’s bathroom, the party was full again. She joyfully went through the party and greeted everyone there. When she went to leave, Max threw a drink at her, but they both laughed it off. Max walked Nadia down the stairs, and Nadia headed to Alan’s apartment. Unfortunately, he wasn’t there, and the old man wouldn’t let her in. He asked her to stop smoking since his wife died of lung cancer. Nadia gave him encouraging words, but he still didn’t let her in. She found Horse in the park with Oatmeal. Nadia went to the bodega where she came across Alan. He was drunk and dropping things again. Alan found his ring and Boba Fett restored in his timeline. He went straight to Nadia’s party, where he talked to Lizzy. Nadia wasn’t there, so he went to the bodega. Alan saw her, but she had Mike on her arm. Both Alan and Nadia had awoken in timelines where the other hadn’t experienced the loops. Alan tried to warn Nadia about going home with Mike. He told her that a taxi would kill her. She ignored him and left the bodega. He texted a picture of Mike and Nadia to Beatrice to stop them, but Mike didn’t answer his phone. Alan persuaded Ferran to call her and tell her the exact amount her college fund had been worth. Nadia came down to the bodega, and Alan explained that he had to save her life. He told her he knew where Oatmeal was, and they left for the park. While they argued on the street, Alan saved her from the cab. Instead of going with Mike, she walked the other way with Alan. Together, they joined a surreal parade under a tunnel. Nadia tried to help Alan, but Ferran insisted that it needed to be inner circle only. She followed them to a restaurant where she kept an eye on Alan. When he left, she followed him to the park, where he proposed to Horse and gave him all of his money. Nadia took him away to his apartment. She put him to bed and told him their story. They both fell asleep, but when Nadia woke up, Alan was gone. She went to the roof and thought Alan had jumped already. However, Alan came to stand next to her, and she promised him he wouldn’t be alone. They went for a walk and joined the parade under the tunnel. The two timelines ran in parallel and blended together until they were both the versions of themselves that remembered. 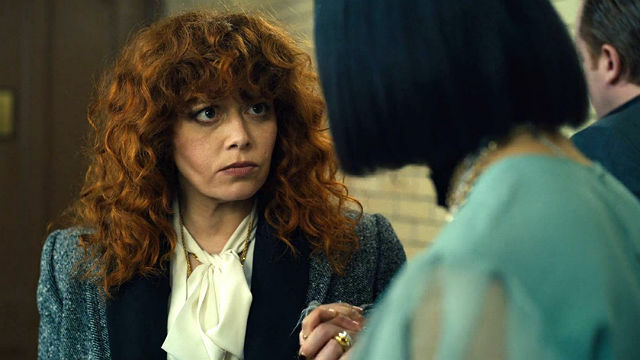 What did you think of the season finale of Russian Doll? Let us know in the comment section below! The post Russian Doll Season 1 Episode 8 Recap appeared first on ComingSoon.net.